The BitTorrent protocol is probably the best way to share a large volume of data and accounts for a significant percentage of the universal internet traffic. It can also be perfectly legal; after all, we can download most Linux distribution ISOs as torrent files. 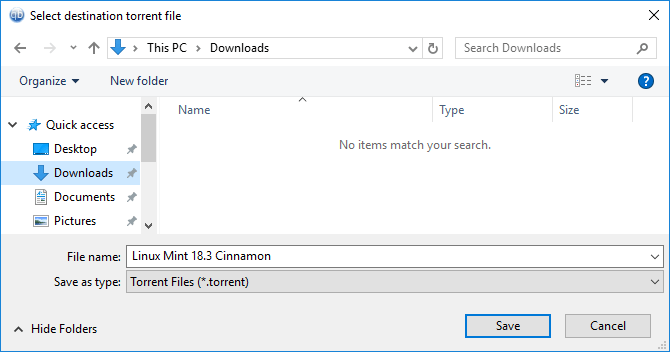 Let's see how to create torrent files using the popular qBittorrent client in just a few seconds, and how to upload them on The Pirate Bay. You can use this guide to create torrent files to upload in any public or private tracker. However, private trackers might have their particular rules about how to create torrent files. Make sure you do your research, to avoid risking consequences on your account. 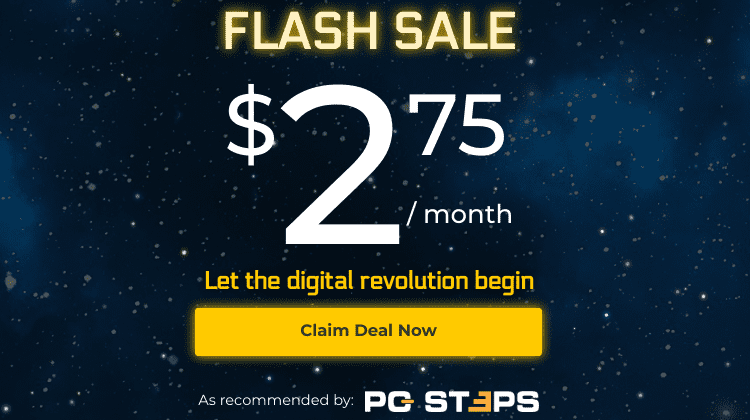 Is it legal to create torrent files? Did you find it easy to create torrent files? A torrent file is like a truck. A truck can move legal merchandise, but it can also carry smuggled, stolen, or illegal wares. It's perfectly legal to create torrent files. What is illegal, is to distribute copyrighted movies, music, and cracked editions of games and programs. Depending on the country you live in, you could face steep fines and even criminal prosecution for sharing content illegally. Most of the torrent clients can also create torrent files. For this guide, we will use qBittorrent, which is one of the most popular torrent clients. It is also definitely safer than the occasionally malware-ridden uTorrent / μTorrent. We can download the latest version of qBittorrent from the official website. After we download and install qBittorrent, we click on Tools -> Torrent creator. On the torrent creator, we can add a single file or an entire folder with any number of subfolders. 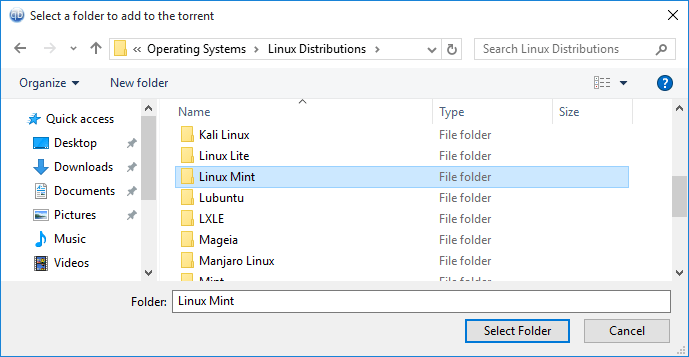 For the example, we will create a torrent with a folder containing Linux Mint 18.1 Cinnamon. At the "Tracker URLs field," we need to add one or more public trackers. We can find a great selection of public trackers on this GitHub page, which the creator's bot automatically updates on a daily basis. For the guide, we just added the twenty best trackers from the respective list. Because, why not? We don't need to add every public tracker in existence. Twenty are more than enough. If we intend to upload our torrent in a private tracker, we need to follow their instructions regarding the tracker URL, and not add the public trackers. On most private trackers, we need to earn the right to upload in some way. We can leave the next two fields blank. The "Web seeds URLs" is only useful if we upload a file that we can also download from a server through HTTP or FTP. 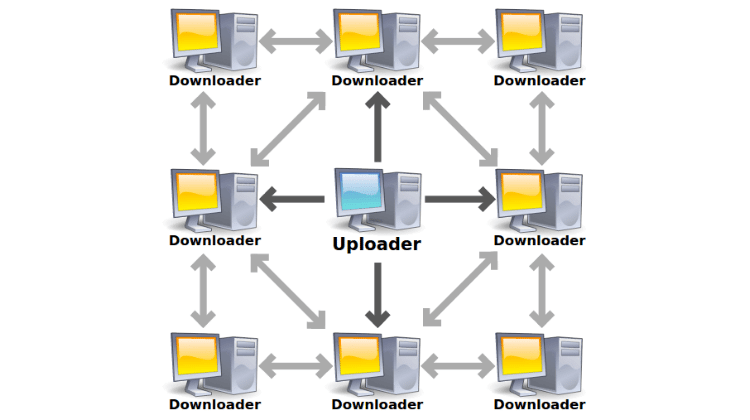 This way, the server participates in the sharing of the torrent, as another peer. For more information on Web seeds and how to add them, check this techie buzz post. Finally, if we are uploading on a private tracker, we need to check the "Private" checkbox. It's a good idea to check the "Start seeding after creation" box, to add our new torrent file immediately in qBittorrent. The option to "Ignore share ratio limits" will override any limits we might have on qBittorrent regarding seeding. After all, we probably want to upload as much as we can of our torrent. When we are ready, we click on "Create and save..." and select a name for the torrent. The number of files within the torrent and their size will affect the torrent creation time. Now, our torrent is seeding. We also need to make sure that our connection status is green. ...we probably must create a port forwarding rule on our router and firewall. OK, we have the torrent file. Now what? Can we send it to a friend of our's and they can start downloading? Unfortunately, it's not that simple. We must upload the torrent file to a torrent tracker site, such as The Piratebay, Kickass Torrents, or any other site that allows user uploads. The Pirate Bay has its ups and its downs, but it doesn't seem to be going completely away anytime soon. It's a good solution to upload our torrent file. 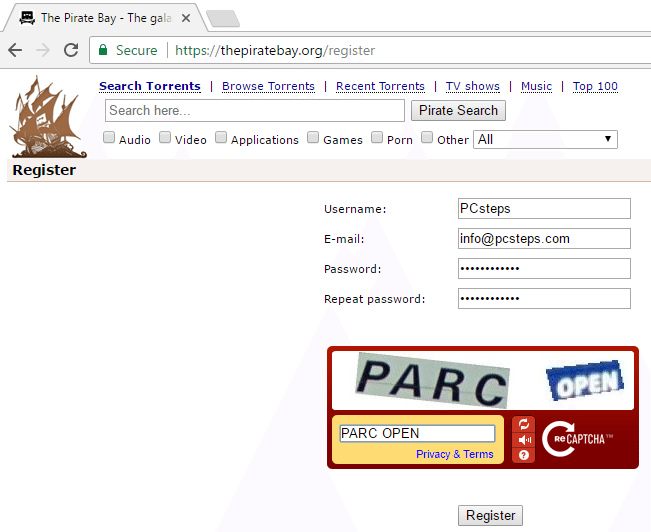 We just visit https://thepiratebay.org/register, pick a username, enter our email, select a secure password, fill in the old-school captcha, and hit Register. We will receive an email to complete the registration. After that, we log into our account. Just like the popular myth about eating after swimming, we must wait one hour after the account creation to upload a torrent. After the hour is up, we just click the Upload torrent link. We need to click "Choose File," select the torrent file we created and then fill in the relevant information. Complete another old-school Captcha, click on "Add to index," and that's it. After we create the torrent, it is available immediately, for anyone to find and download, as long as we are seeding the file. 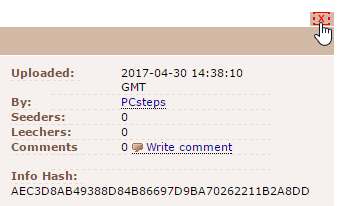 If we wish to delete the torrent, we just visit its page while logged in and click on the red X in the upper-right hand corner. If you had any trouble creating torrent files, with qBittorrent or another client, or if everything went swimmingly and you couldn't be happier, leave us a comment. I've always thought that one must know some weird codes to create Torrents, but it's that simple. Yea, there is nothing to it. But how do you seed your own torrent when uploading to TPB? You just keep qBittorrent open, and when a user starts downloading your torrent, you will automatically start seeding it. Is there a way to not name my torrents every time? Is it possible that the name of the created torrent to be the name of the folder I have chosen before that? I just want to skip the typing part when naming my new torrent or copy-pasting the name. No, there is no such functionality in qBittorrent, and I am pretty sure you won't find it on any torrent client. I want to use a purely DHT network, but I don't know how to create a torrent file without tracker. Thanks for the concise and informative article. Omitting the 'announce' part doesn't seem to be an issue as far as downloading is concerned but since this is about sharing files I deem it worth mentioning. Also, it seems like you don't even need to add any trackers at all if the person who is about to receive the file on the other end is using qBittorrent too. As the default DHT, PeX and LSD or whatever they are seem to take care of the transfer. But it's, of course, best to add some. Thank you for your input, Pavel. 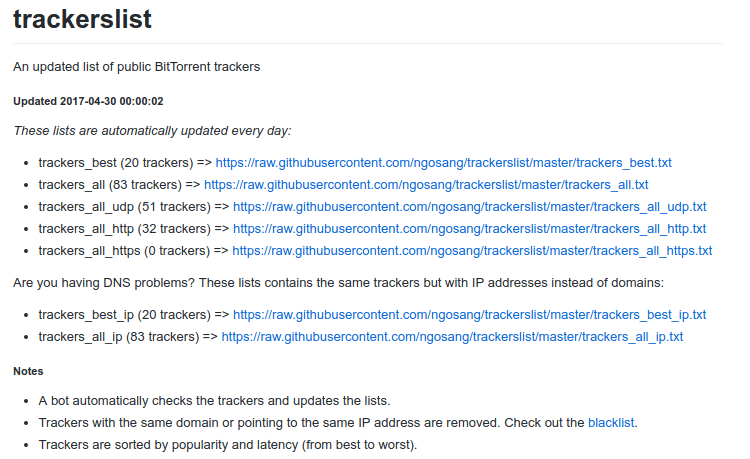 We have refreshed the guide, and added a GitHub page which includes the best public trackers at any given day. I did like ur tutorial said. I sent the torrent file to my friend. And we can't just find each other.